Congratulations! Milander Center for Arts & Entertainment Welcomes you to Lets Flamingle! 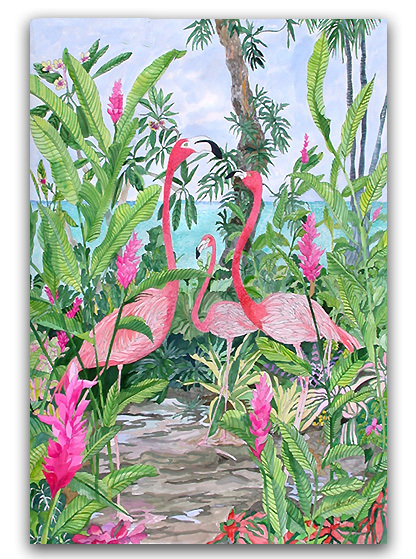 Flamingo News – original 30″ x 22″watercolor is my entry. Opening reception will take place at Milander on April 27 at 7 p.m.
Do Invite your friends and family. What better way is there to share art and lively banter while meeting other local artists and friends!? Lite fare, beverages, parking and admission are complimentary. This Collective Art Exhibition will take place from April 27 to May 25, 2018.